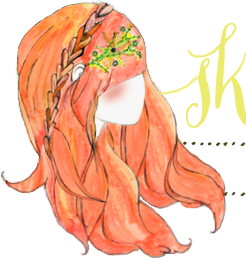 This is so pretty, I just wish I was talented enough to recreate it, to say I am not good with hair is an understatement. Ah! Your hair is SO cute! I am looking at the tutorial now! oh my... so gorgeous as always! You do such a great job. I remember seeing these last week and loving them! I've tried a couple of times, but when it comes to my hair, I'm all thumbs. I need to practice more! Is your hair dyed? And if it is, can you teach me your ways? It was a wonderful tutorial! I really need to try these... reallllllly! I featured this on my friday favorites post last week:) Check it out if you wish! i used to do this all of the time with my grandmother when i was little. we would also rip up old pillowcases and make rag curlers. great depression chic! i actually think i might try this tonight! I'm still practicing, but here's my attempt. I actually like how it looked when i took it down at the end of the day. 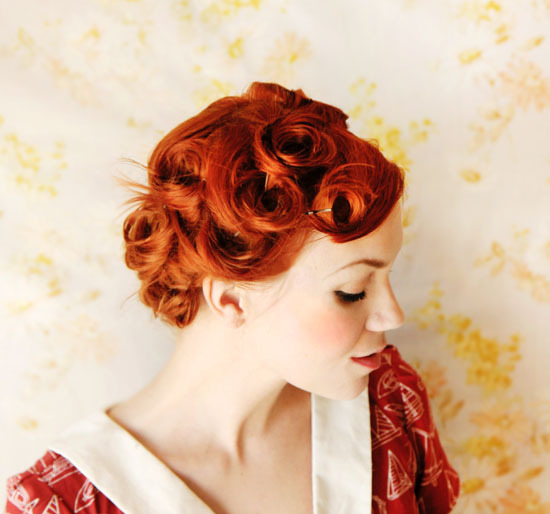 I used to pin curl my hair everyday when I was in uni. Now that I'm working full time, I'm just too tired to ever bother. They always worked really well on my hair but it's curly to begin with.